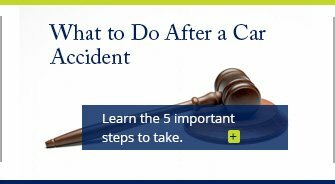 Get a Proven Clearwater Personal Injury Lawyer on Your Side! When you or your loved one has been injured in an accident, you have the right to pursue monetary compensation from the at-fault party for any physical, emotional, and / or financial damages you suffered. If you have been injured, missed work, or incurred medical bills, you deserve to have those damages paid by the person who caused the injury (or their insurance company). Our experience as former insurance defense lawyers has taught us that your case will be handled differently depending on who your lawyer is. Without the right team on your side, no insurance company will treat you fairly. At Cope, Zebro & Crawford, P.L., our Clearwater personal injury lawyer has handled and tried more than 50 jury trials and are focused on advocating on behalf of local injured victims and their families. This focus has allowed our legal team to amass an arsenal of hands-on experience and insight that we utilize in every case and trial we handle. 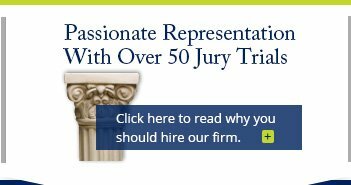 We are also members of the Tampa Bay Trial Lawyers Association. When you file a claim against an at-fault party's insurance provider or against the entity responsible for your injury and damages, you must be aware that these companies go to great lengths to pay you as little as possible. Legitimate needs aside, insurance companies are in the business to collect premiums, not to pay injured victims. If, for example, you were to settle your claim without the assistance of a lawyer, or with the assistance of apathetic or inexperienced counsel, you would be vulnerable to insurance companies capitalizing on your or your lawyers' lack of knowledge and awarding you unfair compensation. This is, in some sense, equivalent to a lowball offer to someone who may not be aware of the true value of the case they possess. When we worked for the insurance companies, we saw this all the time. With these facts in mind, it becomes clear that knowledge of what your claim is worth and the ability to obtain and even maximize this value are the most essential skills needed to handle a successful claim. Insurance companies will never pay top dollar unless they fear a verdict in excess of their policy. If the insurance company believes that you have the ability and knowledge to take a case to trial, through appeal, or obtain a bad faith judgment against them, then and only then will they treat you fairly. This means that when insurance companies know that you are represented by experienced trial lawyers who have a reputation for fighting aggressively and intelligently on behalf of clients, they are much more willing to reach favorable settlements rather than risk their assets at trial. The fact of the matter is that insurance companies are most often not going to be fair or willing to pay any more than what they are required. In many cases, they even dispute or contest claims with aggression. Whatever situation may arise during your claim process, our attorneys craft customized legal solutions that can be used to address the unique elements involved. 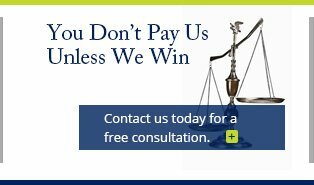 Should settlements not prove sufficient or should insurance companies dispute your right to compensation, you can be confident knowing that your compensation and future well-being rests in the hands of real trial lawyers. Looking for an Attorney in Clearwater? 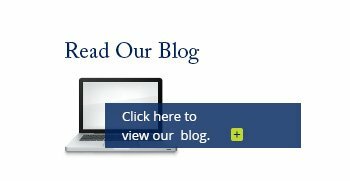 Whether a trial is viable or necessary will depend entirely on the personal circumstances involved in your case. This is why our firm always works cases on an individual basis and never passes cases off to paralegals or support staff or treats you as if you were merely a number. Through the integration of our client-centric approach, our experience in the insurance industry, and the countless hours we have logged preparing for and performing in jury trials, our legal team is fully prepared to fight on your behalf. A real trial lawyer for real injuries, we know the tactics insurance companies employ to minimize victim recoveries, which makes us all the more prepared to maximize them. Contact Cope, Zebro & Crawford at our office in Clearwater to learn more about pursuing your claim and how we can help.